Tim Burton’s Batman committed a great many crimes against fandom. Perhaps the most unforgivable was the moment when Alfred not only allowed Vicki Vale access into the Batcave, but walked her right over to an out-of-costume Bruce Wayne. It violated one of the fundamental rules of superhero comics: The hero NEVER reveals his true identity. Even if he did, he certainly wouldn’t do so in such a frivolous manner. Sam Raimi’s Spider-Man took quite a bit of inspiration from Tim Burton’s dark blockbuster. Each film in Raimi’s trilogy featured an unmasked Spider-Man at some point. While the context often made more sense than in Batman, it was nonetheless perplexing. By the end of Spider-Man 3, it seemed that nearly half of New York City knew our hero’s biggest secret. 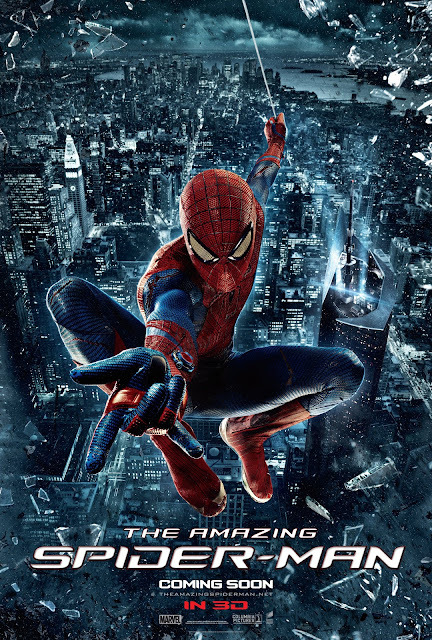 Judging by the new four minute preview for The Amazing Spider-Man, director Marc Webb believes this tradition to be well worth preserving. The first minute and a half of the preview is an abbreviated version of what is surely a major set piece in the film. Granted, the unmasking not only serves an actual purpose in the scene, but adds a nice twist to what has become a franchise staple. The rest is nothing more than the film’s 2nd trailer. Select moments (particularly the ones featuring the Lizard) seem to have been slightly extended. Something about the film’s tone feels a bit too slick. There seems to be too much of an attempt to make Peter and his world seem edgy and cool. The appeal of the character, at least for me, is that there is nothing particularly “cool” about Peter in and of himself. I’m also not particularly fond of making the origin story a matter of destiny instead of an accident. No matter how much Sony ramps up the marketing, The Amazing Spider-Man is shaping up to be perhaps the most polarizing superhero flick of the summer. Still, I pray that my fears are unfounded.